Aeroflot Group, Russia’s largest consortium of airlines, has dramatically slowed down the pace of its fleet renewal programme. The Group brought in only one Airbus A320 while phasing out an Airbus A319 in February, the second consecutive month that the group’s parent airline has not increased the number of its aircraft. Currently there are 253 units in the carrier’s fleet and 367 in the entire group that consists of Aeroflot, Rossiya Airlines, low-cost carrier (LCC) Pobeda Airlines and the far east of Russia-based Aurora Airlines. The reduced fleet growth is all part of a strategic objective though. The company has previously announced that the smallest net increase, just five aircraft, is expected in 2019, a year in which the group is taking delivery of 23 new aircraft: two Boeing 777-300 wide-bodies, nine Boeing 737s, 10 Superjet 100 regional jets and two DHC-6 Twin Otter turboprops. Of these, the Boeing 777s and SSJ100s are likely to be intended for the parent Aeroflot, the Boeing 737s should go to low-cost subsidiary Pobeda, and the DHC-6s to far eastern subsidiary Aurora. Airbus aircraft are not on the supply list for this year. 18 aircraft are to be phased out during the current year. They are three Airbus A330s, four A319s, eight A320s and one each of A321, Boeing 737 and DHC-8 (the latter has already left in January). In previous years, the group has been much more active in updating its aircraft numbers. In 2017, the overall fleet increased by as many as 40, followed by 31 last year. However, the group is not ignoring the long term bigger picture. According to Aeroflot’s latest strategy, announced in November last year, 520 aircraft are due to be operated by 2023. 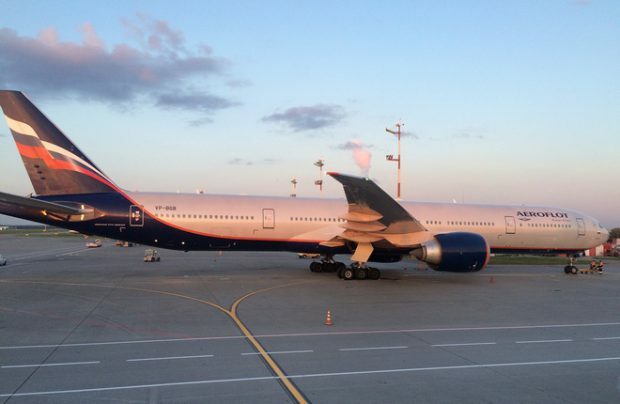 Despite the current cautious approach to its fleet expansion, Aeroflot Group is continuing to increase its passenger numbers, which indicates an increase in operational efficiency. In the first two months of 2019, the group transported 8.2 million passengers, a 15.8 per cent increase year-on-year. At the same time, the passenger load factor decreased by 1 p.p. compared to 2018 to 76.7 per cent. RPKs increased by 15.8 per cent compared to the same period of last year. In first two month of this year, the parent airline carried 5.4 million passengers, representing a healthy 14.6 per cent upswing over the same period of last year. In February, the growth of passenger numbers was even more noticeable at 17.2 per cent.